Despite widespread reports that its latest Google Search update for iOS is causing the device's battery to drain faster, Google claims that's simply not the case. CNET reported this week that Google is going on the offensive to squash rumors surrounding an update released last week for those using its Google Search for iOS app. Almost as soon as the search giant ported its formerly Android-only Google Now feature over to iOS with the update, users began complaining their iPhone, iPod touch and iPad devices were draining battery life faster than normal. 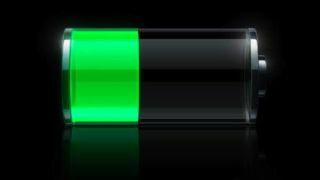 A number of temporary solutions appeared on blogs such as Lifehacker which suggested disabling the Location Reporting feature built into iOS to minimize Google Now's reported impact on battery life. Google said there's no such problem to remedy, explaining in a statement to CNET that the confusion actually stems from how Google Now causes the Location Services icon to remain on at all times. "Many apps that keep the icon on actually do drain the phone's battery because they require very accurate location," Google wrote. "This update to the Google Search app is built very differently: It uses cell towers and Wi-Fi hotspots for much lower battery impact." Google claimed to have "extensively tested" Now on iOS for several months with no "significant" impact on the battery, and encourages users who might be experiencing a problem to submit feedback through the Google Search app.